This is carried out right next to a train track! Person in charge of train track management is standing behind the decorators. They don’t just stop decorating ropes because it is dangerous, but keeping their tradition like this. and took about an hour to complete. 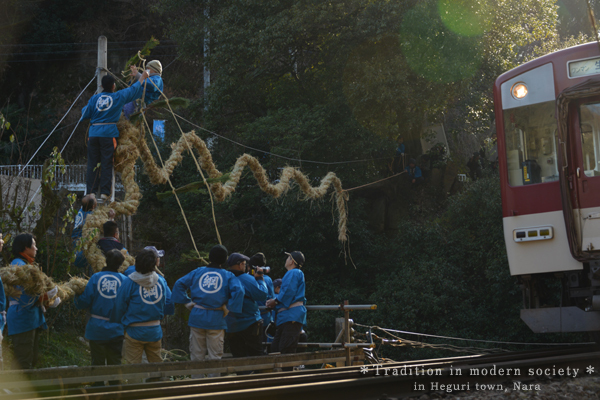 Taken is an event to hang Kanjo ceremonial rope in Shidehara, Heguri-cho, Ikoma, Nara.